It’s been a while since we checked in with Daredevil, a blind lawyer named Matt Murdock (Charlie Cox) who assumes his vigilante identity at night, using his supernaturally heightened senses to solve local crime. In the span of two seasons as Netflix’s favorite Hell’s Kitchen resident, Murdock has uncovered a criminal underworld, and had run-ins with other iconic Marvel characters like The Punisher (Jon Bernthal) and Elektra (Élodie Yung), while balancing his professional and personal life. We also followed his story into Netflix’s first major Marvel crossover: The first season of The Defenders, which united characters like Daredevil, Jessica Jones, Luke Cage, and Iron Fist. Daredevil was a groundbreaking series for Netflix as its first entry in the Marvel Cinematic Universe. That means Murdock’s world runs consistently with the Avengers' big-screen adventures, often in the same New York City setting. 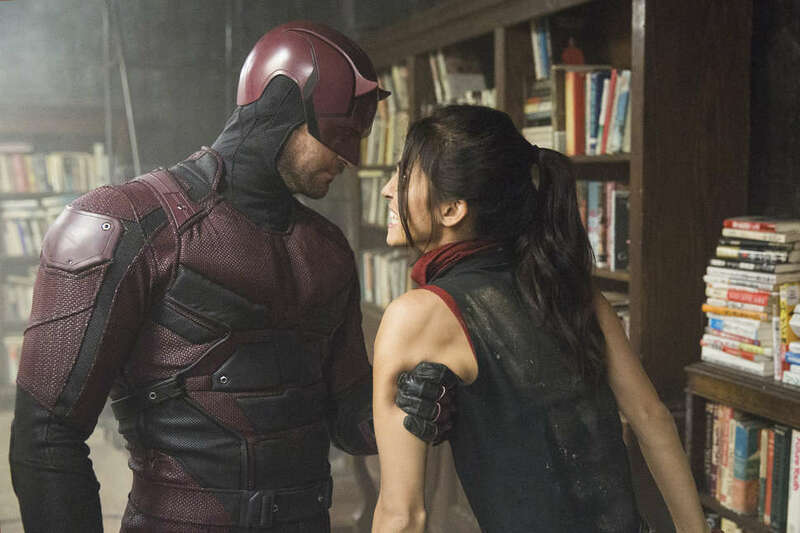 The series has been off the air since 2016, and Murdock absent since The Defenders premiered in 2017. After a tantalizing near-death experience on that show, fans have been scrambling to figure out what will happen next. Luckily, the series comes back soon, so those years-long questions will finally get answers. Here’s everything we know about the third season of Daredevil. When will Daredevil Season 3 premiere? Daredevil is slated to return to Netflix for its third season on October 19. It's a long awaited return for the Marvel series, as the last season debuted back in March 2016, while other Marvel shows, including Iron Fist, Jessica Jones, and Luke Cage had second seasons drop on the platform in the meantime. There was also the premiere of The Defenders, which Vice President of Netflix original content Cindy Holland pointed out was necessary to tie together the four series airing on the Netflix. All that out of the way, Daredevil is back and has a haunting new teaser to show for it. The quick clip shows footage of the brooding superhero with a bloody nose, exclaiming, "There’s only one true way to end evil: to finish it for good," just before revealing that highly anticipated premiere date. Hell yeah there's a trailer! Though it's not the most substantial piece of content in the world, Netflix released a brief tease of Daredevil season three during San Diego Comic-Con this year. While we don't see any new footage, it does show more crime taking place in the show's Hell's Kitchen setting, with blood splattering the number "3" on a train platform. Seems like the city could use a blind vigilante to mete out justice. This also is not an official trailer or poster, but Marvel Entertainment Chief Creative Officer Joe Quesada shared a piece of artwork he created to promote the next season. It shows a suited-up Daredevil jumping off a building that emulates the Roman numeral "3." What will the plot of Daredevil Season 3 be? The Defenders left Matt Murdock in a precarious place. Although it appears for a brief moment that he and resurrected ex-girlfriend Elektra die in an explosive blast, we learn that he did, in fact, survive. The finale closes on his waking up in what looks like a convent, with a cross hanging over his head and a nun at his side. When Murdock begins to stir, the nun says to someone unseen: "Get Maggie. Tell her he's awake." In the comics, Maggie is the name of Murdock's long-lost mother, who becomes a nun and helps her son regain his strength after a near-death experience. This storyline is known to comics fans as "Born Again," a critically acclaimed and fan-favorite arc in the Daredevil mythos, and one that once again pits him against the villainous Kingpin, played by Vincent D'Onofrio on the show. In "Born Again," Kingpin learns of Daredevil's true identity, something briefly hinted at in season two. The arc also explores Murdock's complicated relationship with Karen Page (Deborah Ann Woll). It's unclear how much of Daredevil's third season will mirror "Born Again," but thanks to casting announcements, we know there will definitely be parallels. Who's returning and who's joining the cast? The biggest hint that "Born Again" will play out in Daredevil season three is the casting of Sister Maggie, Matt Murdock's absent nun mother. According to Deadline, actress Joanne Whalley -- known for her work on Wolf Hall -- has been tapped for the part. We also know that Vincent D'Onofrio will return as Wilson Fisk/Kingpin, further confirmation that the story is going that direction. Charlie Cox, Deborah Ann Woll, and Elden Henson (who plays Murdock's best friend and law partner, Foggy Nelson) are all officially set to return. We'd also place bets on Élodie Yung's Elektra showing up again, even after her apparent second death; she seems too interlaced with Murdock's story to be gone for good. It's also likely we'll see more of Rosario Dawson's Claire Temple, a nurse who tends to the Defenders, and has also appeared on Jessica Jones, Luke Cage, and Iron Fist. Other newbies set to make their mark in season three are Hart of Dixie's Wilson Bethel, as an FBI agent "who will play a critical role in the conflict between Matt Murdock and Wilson Fisk," and Jay Ali as Rahul "Ray" Nadeem. Bethel's character name has been kept under wraps, which has opened the door for a ton of speculation. Who will the main villain be? One of the big rumors circulating is that Bethel will play Bullseye, one of Daredevil's most persistent antagonists in the comics. Bullseye isn't traditionally an FBI agent, but rather a psychopathic assassin, but it could be a reimagining of the character for the series. There are a few big clues that support this theory. First, Daredevil's costume designer, Elisabeth Vastola, shared a (since-deleted) photo on Instagram of season three crew apparel that features Bullseye's insignia against the Daredevil title logo. That seems to confirm that the character will somehow be a part of season three, whether or not Bethel is playing him. But the next clue ties Bethel directly to the character. In another deleted Instagram post, trainer Naqam Washington of Arazi Fitness shared a picture with Cox and Bethel in his gym, and tagged the post with the hashtags #Daredevil and #Bullseye. The fact that both photos have been taken down indicates that they might have spilled one too many beans. It looks pretty likely that Bethel will take on the iconic Bullseye role, which was portrayed by Colin Farrell in the 2003 film. 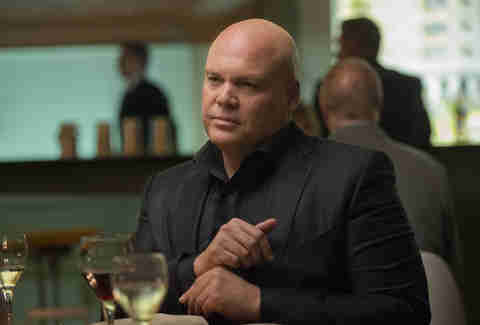 We also know that Kingpin will have a major part in the season, so it sounds like Daredevil will have his hands full. Whatever ends up happening with the cast, we can't wait to see how it all plays out when Daredevil returns to Netflix later this year.